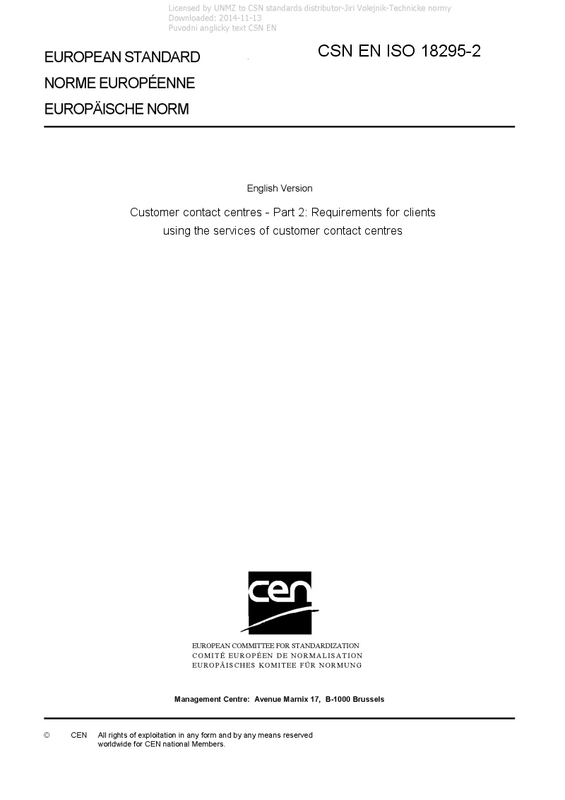 EN ISO 18295-2 Customer contact centres - Part 2: Requirements for clients using the services of customer contact centres - ISO 18295-2:2017 specifies requirements for organizations using the services of customer contact centres (CCC). It aims to ensure that customer expectations are consistently met through the provision and management of appropriate arrangements with CCCs meeting the requirements of ISO 18295-1. ISO 18295-2:2017 is applicable to clients using CCCs of all sizes, across all sectors including in-house (captive) centres and outsourced (third party operator) centres, across multiple contact channels, including voice and non-voice media.